Diploma (Dipl. natw. ETH, Ecology and Systematics). 2002 Invertebrate scouting workshop, Species Survival Commission / the World Conservation Union, Washington DC, October 2002. 2001 Egyptian representative at the African Regional Global Taxonomic Initiative Meeting, March 2001, Cape Town, South Africa. 1998 The Global Taxonomy Initiative: Diversitas and Systematics Agenda 2000 International Workshop, September 17 - 18, 1998, New York. 1992 - 94 Member of the board of the Zürcherische Entomologische Gesellschaft, Zürich. 1993 - 2005 Chairman of the Social Insect Species Survival Group, Species Survival Commission of the IUCN. 2008-2009 GBIF Seed Money Grant: Extracting Nomenclatural Data, Species Descriptions and Collecting Events from Legacy Publications: The Zootaxa-TaxonX-ZooBank Project: SPM expansion (EU 5,000) Co-PI Terry Catapano, Bob Morris and Donat Agosti (Plazi). 2008-2009 GBIF Seed Money Grant: Extracting Nomenclatural Data, Species Descriptions and Collecting Events from Legacy Publications: The Zootaxa-TaxonX-ZooBank Project. (EU 50,000) Co-PI Zhi-Qiang Zhang (Zootaxa) and Donat Agosti (Plazi). 2004 Conservation of the Qattara Depression (NW-Egypt): Producing a habitat map to support and strengthen ongoing conservation planning and implementation. Conservation Trust, National Geographic Society (USD19,480). In collaboration with Mostafa Salah. 2002 Conservation Grant, Chicago Zoo (USD3,500), in collaboration with Sofia Campiolo and Jacques Delabie, Ilhéus, Bahia, Brazil. 2001 Atherton Seidal Foundation Grant, Smithsonian Institution (USD50,000) to scan in and make available 2,500 ant systematics publications. In collaboration with Ted Schultz, USNM. Continous support from various private foundations. 2006 'Mashups mix data into global service. News Section, Nature 439, 6-7. 2002 'Formidable catalogue puts army of ants Online'. News Section, Nature 416, 115. 2001-2002 "Charting and Documenting the World's Ants and Social Wasps" selected as core project of the International Biodiversity Oberservation Year. 1999 The top science stories of 1998: "92-million-year-old ants in amber from New Jersey". Discover Magazin. 1999 Listing in Britannia Book of the Year 1999. 2003 - 06 Collaborative Research: Development of new digital library applications in the context of a basic ontology for biosystematics information using the literature of entomology (ants). US-NSF/German DFG (3 years, USD 600K) to American Museum of Natural History. 2001 - 02 Bedouin based conservation of the Western Desert. Project supported by the Eyptian-Swiss Development Fund, Cairo, Egypt (14 months, 1M EP). 2001 Review of the Conservation Status of the J. Elb protected area, Egypt. Egyptian Environment Affairs Agency, Cairo, EGYPT. 2007. Donat Agosti, Fernando Fernandez and Vanderlei Canhas. Creating a new online catalogue of the Neotropical ants. Campinas November 29 - December 1, 2007. 2006. Eldridge Adams, Jacques Delabie and Donat Agosti. Ant Community Ecology. IUSSI 2006 Congress, Washington DC, July 30 - August 4, 2006. 2005. Tom Moritz, Donat Agosti, Silvio Olivieri, Dora Canhos and Roberto Cavalcanti. Principles and Tools for Freely Sharing Conservation Information. 19th Annual Meeting of the Society for Conservation Biology, Brasilia, July 15 -19. 2004 Coorganizier with Catherine Graham, SUNY Stony Brooks, "What could species distribution models add to conservation biology" symposium at the annual meeting of the Society for Conservation Biology, New York, 28 July to 1 August, 2004. 2004 Coorganizier with Tom Moritz, Director of Libraries, American Museum of Natural History, "The Biodiversity Commons" workshop at the annual meeting of the Society for Conservation Biology, New York, 28 July to 1 August, 2004. 2002 Organzier, "The Virtual Social Insect" Symposium at the International Congress of the International Union for the Study of Social Insects, Sapporo, Japan, 28th July to 3 August, 2002. 2000 Coorganizer with Tom Moritz, Director of Library, AMNH, of "Virtual Congo Ant" Workshop at the American Museum of Natural History, New York, in collaboration with the Digital Library Project funded by the Mellon Foundation, October 16-18. 1996 Co-organizer of an international workshop on "Measuring and Monitoring Biodiversity: Standard Methods for Ground Living Ants", Ilhéus, Bahia, Brazil. 1986 Organization of the symposium Taxonomy and Zoogeography of the Formica rufa species group at the X. International Congress of the International Union for the Study of Social Insects, Munich (with C.A.Collingwood). Hardisty, A., Roberts, D. and the Biodiversity Informatics Community, 2013. A decadal view of biodiversity informatics: challenges and priorities. BMC Ecology 2013, 13:16 doi:10.1186/1472-6785-13-16. Penev L., Catapano T., Agosti D., et al. 2012. Implementation of TaxPub, an NLM DTD extension for domain-specific markup in taxonomy, from the experience of a biodiversity publisher. In: Journal Article Tag Suite Conference (JATS-Con) Proceedings 2012 [Internet]. Bethesda (MD): National Center for Biotechnology Information (US); 2012. Miller, J., T. Dikow, D. Agosti, G. Sautter, T. Catapano, L. Penev, Z.-Q. Zhang, D. Pentcheff, R. Pyle, S. Blum, C. Parr, C. Freeland, T. Garnett, L.S. Ford, B. Muller, L. Smith, G. Strader, T. Georgiev & L. Bénichou. 2012. From taxonomic literature to cybertaxonomic content. BMC Biology, 10: 87. Hossein Nezhad, S., Pashaei Rad, S., Firouzi, F., and Agosti, D. 2012. New and additional records for the ant fauna from Iran. Zoology in the Middle East 55: 65-74. Penev L, Agosti D, Georgiev T, Catapano T, Miller J, Blagoderov V, Roberts D, Smith VS, Brake I, Ryrcroft S, Scott B, Johnson NF, Morris RA, Sautter G, Chavan V, Robertson T, Remsen D, Stoev P, Parr C, Knapp S, Kress WJ, Thompson FC, Erwin T. 2010. Semantic tagging of and semantic enhancements to systematics papers: ZooKeys working examples. ZooKeys 50: 1-16. doi: 10?.3897/zookeys.50.538. Michael D. Weiser, Sanders N.J., Agosti, D.,Andersen, A.N., Ellison, A.M., Fisher, B.L., Gibb, H., Gotelli, N.J. Gove, A.D., Gross, K., Gue´nard, B., Janda, M., Kaspari, M., Lessard, J.P.,Longino, J.T., Majer, J.D., Menke, S.B., McGlynn, T.P., Parr, C.L., Philpott, S.M., Retana, J., Suarez, A.V., Vasconcelos, H.L., Yanoviak, S.P. and Dunn, R.R., 2010. Canopy and litter ant assemblages share similar climate–species density relationships. Biology Letters 6, 769-772. (pdf). Dunn, R. R., Agosti, D. and 22 authors. 2009. Climatic drivers of hemispheric assymmetry in global patterns of ant species richness. Ecology Letters 12 (4), 324-333. Cochard, R., D. Agosti. 2008. Putting Ant-Acacia mutualism to the fire. Science 319, 1759-1760. Prates-Clark, C.d. C., Saatchi, S. S. D. Agosti. 2008. Predicting geographical distribution models of high-value timber trees in the Amazon Basin using remotely sensed data. Ecological Modelling 211, 309-323. Agosti, D., Klingenberg, C., Sautter, G., Johnson, N., Stephenson, C., and Catapano, T., 2007. Why not let the computer save you time by reading the taxonomic papers for you? Biológico, São Paulo, v.69, suplemento 2, 545-548, 2007 ((pdf)). Dunn, R.R., Sers, N.J., Fitzpatrick, M.C., Laurent, E., Lessard, J.-P., Agosti, D., ersen, A.N., Brühl, C., Cerda, X., Ellison, A.M., Fisher, B.L., Gibb, H., Gotelli, N.J., Gove, A., Guenard, B., Ja, M., Kaspari, M., Longino, J.T., Majer, J., Mcglynn, T.P., Menke, S.B., Parr, C.L., Philpott, S.M., Pfeiffer, M., Retana, J., Suarez, A.V. & Vasconcelos, H.L. 2007: Global Ant (Hymenoptera: Formicidae) Biodiversity Biogeography: A new database and its possibilities. Myrmecological News 10: 77-83. (pdf). Lauk, C., Brão, C.R.F. Agosti, D., 2003.Listado de museos con colecciones de hormigas. Pp. 419 - 424, Fernández, F.(ed.). Introducción a las Hormigas de la región Neotropical. Instituto deInvestigación de Recursos Biológicos Alexer von Humboldt, Bogotá, Colombia.XXVI + 398 pp. Agosti, D., Linder, P., Burckhardt, D., Martinez, S., Löbl, I., Loizeau, P.-A. 2003. Switzerland’s role as a hotspot of type specimens. Nature 421, 889. Agosti, D., Collingwood, C.A., Tigar, B.J. 2003. Key and synopsis of the ants in the United Arab Emirate. Mitteilungen der Schweizerischen Entomologischen Gesellschaft (in press). Agosti, D., Johnson, N.F., 2003. Taxonomists need better access to published data. Nature 417, 222. Agosti, D., Alonso, L.E. 2003. El Protocolo ALL: un estándar para lacolección de hormigas del suelo. Pp. 415 - 418 in Fernández, F. (ed. ).Introducción a las Hormigas de la región Neotropical. Instituto de Investigación de Recursos Biológicos Alexer von Humboldt, Bogotá, Colombia.XXVI + 398 pp. Agosti, D. 2003. Encyclopedia of life: should species description equal gene sequence? Trends in Evology Evolution 18, 273. Agosti, D., Johnson, N.F., 2003. La nuevataxonomía de hormigas. Pp. 45 - 48 in Fernández, F. (ed.). Introducción a lasHormigas de la región Neotropical. Instituto de Investigación de RecursosBiológicos Alexer von Humboldt, Bogotá, Colombia. XXVI + 398 pp. Gökçen, O.A., Morgan, D.E., Dani, F.R., Agosti,D., Wehner, R., 2002. Dufour gl contents of ants of the Cataglyphisbicolor group. Journal of Chemical Ecology 28 (1), 71-87. Agosti, D., Moritz, T. 2002. Ants online - towards the BiodiversityCommons. Species 37 (In press). Saatchi S.S., D. Agosti, K. Alger, J. Delabie, J. Musinsky. 2001.Fragmentation loss of primary forest in the Southern Bahian Atlantic Forestof Brazil with Radar imagery. Conservation Biology 15 (4), 867-875. Johnson, C., Agosti, D., Delabie, J.H., Dumpert, K., Williams, D.J., vonTschirnhaus, M., Maschwitz, U. 2001. Acropyga Ayteca ants (Hymenoptera:Formicidae) with scale insects (Sternorhyncha: Coccoidea): 20 Million years of intimate symbiosis. American Museum Novitates 3335: 18pp, 10 figs. Grimaldi, D., and Agosti, D., 2000. A Formicine in New Jersey Cretaceousamber (Hymenoptera: Formicidae), early evolution of the ants. Proceedings of the National Academy of Sciences 97: 13678-13683. Delabie, J.H.C., Vasconcelos, H.L., Vilhena. J.M.S. and Agosti, D., 2000.First record of the ant genus Probolomyrmex (Hymenoptera: Formicidae: Ponerini: Platythyreini) in Brazil. Revista de Biología Tropical 49 (1): 397-398. Delabie, J.H.C., Agosti, D., and Nascimento, I.C. do. 2000. Litter ant communities of the Brazilian Atlantic rain forestregion. P.p 1-17, in: Agosti, D., Majer, J., Alonso, E. Schultz, T.,(eds.). 2000. Sampling Ground-dwelling Ants: Case Studies from the Worlds' RainForests. School of Environmental Biology Bulletin 18, 118pp..
Bestelmeyer, B.T., D. Agosti, L.E. Alonso, C.R.F.Brão, W.L. Brown Jr., J.H.C. Delabie, R. Silvestre. 2000. FieldTechniques for the Study of Ground-Dwelling Ants: An Overview, Description Evaluation. Pp. 122-144, in: Agosti, D., Majer, J., Alonso, E. Schultz, T.,(eds.). Ants: Stard methods for measuring monitoring biodiversity.Biological Diversity Hbook Series. Smithsonian Institution Press. WashingtonD.C., 20+280pp. Alonso, L.E., D. Agosti. 2000. Biodiversity Studies, Monitoring, Ants: An Overview. Pp. 1-8, in: Agosti, D., Majer, J., Alonso, E. Schultz,T., (eds.). Ants: Stard Methods for Measuring Monitoring Biodiversity.Biological Diversity Hbook Series. Smithsonian Institution Press. WashingtonD.C., 20+280pp. Agosti, D., and Alonso, L.E.. 2000. The ALL Protocol: A Stard Protocolfor the Collection of Ground-Dwelling Ants. Pp. 204-206, in: Agosti, D., Majer,J., Alonso, E. Schultz, T., (eds.). Ants: Stard methods for measuring monitoring biodiversity. Biological Diversity Hbook Series. SmithsonianInstitution Press. Washington D.C., 20+280pp. Agosti, D. 2000. Social Insects Specialists Group. Species 34: 84-95. Oldham, N.J., Morgan, E.D., Agosti, D., Wehner, R., 1999. Species recognition from postpharyngeal gl contents ofants to the Cataglyphis bicolor group. Journal of Chemical Ecology 25(6),1383-1393. Brão, C. R. F., J. L. M. Diniz, D. Agosti J., and Delabie, J. H.. 1999. Revision of the Neotropical ant subfamily Leptanilloidinae. Systematic Entomology 24,17-36. Agosti, D., Moog, J., and Maschwitz, U., 1999.Revision of the Oriental Plant-ant genus Cladomyrma. American Museum Novitates 3283, 24pp, 35 figs, 2 tables. O'Keefe, S.T. Agosti, D., 1998. A new speciesof Probolomyrmex (Hymenoptera: Formicidae) from Guanacaste, Costa Rica. Journalof the New York Entomological Society 105(3-4), 190-192. Agosti, D., 1998. Two new enigmatic Melophorus ants (Hymenoptera:Formicidae) in Australia. Journal of the New York Entomological Society 105(3),161-169. Agosti, D., 1998. The ant (Hymenoptera: Formicidae) types in Argentine collections. Journal of the New York Entomological Society 105, 199-205. Tigar, B.J., Collingwood, C.A., Agosti, D.,1997. Introduced ants in the United Arab Emirates. Journal of Arid Environments37, 505-512. Moog, J., Drude, T. Maschwitz, U. Agosti, D.1997. Flood control by ants:water bailing behavior in the south-east Asian plant ant genus Cladomyrma (Formicidae, Formicinae). Naturwissenschaften 84, 242-245. Grimaldi, D., Agosti, D. and Carpenter, J.M., 1997. New rediscovered primitive ants (Hymenoptera: Formicidae) in Cretaceous amber from New Jersey, their phylogenetic relationship. American Museum Novitates 3208, 43pp., 24figs, 1 table. Agosti, D., 1997. The Social Insects Specialist Group. Species 29, 51. Agosti, D., 1997. Convention of Biological Diversity, biodiversity indicators, SSC. Species 29: 23-24. Desalle, R., Agosti, D., Whiting, M.,Perez-Sweeney, B, Bang, R., Remsen, and Baker, R., 1996. Crossroads,milestones and landmarks in insect development evolution: Implications forSystematics. Aliso 14, 305-321. Collingwood, C.A. and Agosti, D., 1996. Formicidae (Insecta: Hymenoptera)of Saudi Arabia (Part 2). Fauna of Saudi Arabia 15, 300-385. Agosti, D., C. Austin, O.A. Gökçen, W.A. König, E.D. Morgan, E.D. Scott, R. Wehner, (1996). (S)-2-Methyl-1-hexanol, characteristic mibular gland substance of ants in the Cataglyphis bicolor group. Chemoecology 7, 57-60. Agosti, D., 1996. The Dominance of Social Insects. Species 26-27, 26-27. Agosti, D., Jacobs, D. Desalle, R., 1996. On combining protein sequences nucleic acid sequences in phylogeneticanalysis: The homeobox protein case. Cladistics 12, 65-82. Agosti, D., 1995. A revision of the south American species of the ant genus Probolomyrmex (Hymenoptera: Formicidae. Journal of the New York EntomologicalSociety 102, 429-434. Wehner, R., Wehner, S. and Agosti, D., 1994. Patterns of biogeographic distribution within the bicolor species group of the North African desert ant,Cataglyphis Foerster 1850 (Insecta: Hymenoptera: Formicidae). Senckenbergiana biologica 74, 163-191. Agosti, D., Mohammed, M., and Chung, A., 1994. Has the diversity of tropical leaf litter fauna been underestimated? An indication from a study of ants from W-Malaysian low land rain forest. Tropical Biodiversity, 2, 270-275. Agosti, D., 1994d. The conservation of Social Insects: A joint edeaveaour of IUSSI IUCN. Proceedings of the twelveth Congress of the InternationalUnion for the Study of Social Insectes, Paris, August 1994, 369. Agosti, D., 1994c. Conservation of pests? Proceedings of the twelfth Congress of the International Union for the Study of Social Insectes, Paris,August 1994, 34. Agosti, D., 1994b. The phylogeny of the ant tribe Formicini (Hymenoptera:Formicidae) with the description of a new genus. Systematic Entomology 19,93-117. Agosti, D., 1994a. A new inquiline ant (Hymenoptera: Formicidae) in Cataglyphis and its phylogenetic relationship. Journal of Natural History 28, 913-919. Agosti, D. and Cherix, D., 1994. Die gefährdeten Ameisenarten der Schweiz.Pp. 45 - 47. In: Duelli, P. ed., Rote Listen der gefährdeten Tiere der Schweiz. Bundesamt für Umwelt, Wald und Lschaft, Bern, Switzerland. Morgan, D., Agosti, D. and Keegans, S., 1992. Chemical secretions species discrimination in Cataglyphis-ants (Hymenoptera, Formicidae).Proceedings of the eleventh Congress of the International Union for the Studyof Social Insectes, Bangalore, August 1990, 402-403. Burckhardt, D. and Agosti, D., 1992. New records of South American Peloridiidae (Homoptera: Coleorrhyncha). Revista Chilena de Entomologia 19,71-75. Espadaler, X. and Agosti, D., 1987. Monomorium boltoni n.sp. from São Nicolau (Cape Verde Isls) (Hymenoptera, Formicidae). Mitteilungen der Schweizerischen Entomologischen Gesellschaft 60(3-4), 295-299. Agosti, D., 1996. The King of the Ants. review of A New General Catalogue of the Ants of the World by Barry Bolton, Harvard University Press. Journal of the New York Entomological Society 103(3), 337-339. Agosti, D., 1998. Ameisen - beobachten, bestimmen. Naturbuch Verlag. Mitteilungen der Schweizerischen Entomologischen Gesellschaft. (in press). Agosti, D., 1999. Australian Ants: Their Biology and Identification by Steve Shattuck. Monographs in Invertebrate Taxonomy 3. Systematic Entomology 24, 395-396. Agosti, D., 2004. The last of its kind. Pheidole in the New World: A dominant, hypderdiverse ant genus. Harvard University Press, 794pp.. Systematic Entomology 29, 276-277. Agosti, D., 2004. Bolton, B. 2003: Synopsis and classification of Formicidae. Myrmekologische Nachrichten 6, 83-84. Agosti, D., 2005. Productive ants run ahead: Ants of Japan. Gakken, Tokyo, The ant genus Proceratium in the extant and fossil record, and Synopsis and classification of Formicidae. Systematic Entomology 30, 175-176. Agosti, D., Majer, J., Tennant, L., and Schulz, T. (1997). Measuring and Monitoring Biodiversity: Standard Methods for Ground-Living Ants. In: Tropical Diversity, Origins, Maintenance, and Conservation. Symposium and annual Meeting, The Association for Tropical Biology and Organization for Tropical Studies, Costa Rica. Campiolo, S., Delabie, J. H.C., Agosti, D. 2001. Formigas Ameaçadas No Brasil: Definição Do Problema. Anais do XV Encontro de Mirmecologia, IAPAR, Londrina –PR, 2001, 445-447. Campiolo, S., Delabie, J.H.C., Sanches, C.L.G., Santos, J.R.M. ; Agosti, D. & Nascimento, I.C., 2001. Relação riqueza genérica e específica: um instrumento de apoio para inventários rápidos em áreas de Mata Atlântica. Anais do XV Encontro de Mirmecologia, IAPAR, Londrina –PR, 301-303. Agosti, D., Saatchi, S., Delabie, H. C. & BrandÃo, C. R. F. 2001. Mapping and monitoring Atlantic coastal forest of Brazil. In: Earth Observation Research Center & National Space Development Agency of Japan (eds) Proceedings of the 1st ALOS PI Workshop. Kogakuin University, Tokyo, Japan. 255-260. Alves, H.S.R., Delabie, J.H.C., Franca, V.C., Sanches, C.L.G., Campiolo, S. & Agosti, D. 2000. Estudo geográfico das coletas de Formicidae (Insecta, Hymenoptera) na região das Guianas. XIII Encontro Nacional de Geógrafos, João Pessoa, -PB, Caderno de Resumos, 61; CD-Contribuições Científicas. Campiolo, S., Delabie, J.H.C. ; Agosti, D., 2003. Distribuição geográfica: uma ferramenta para avaliação do status de conservação de Dinoponera lucida Emery. Anais do XVI Simpósio de Mirmecologia, UFSC, Florianópolis –SC, 359-360. Campiolo, S, Santos, D. da S, Delabie, J.H.C., Nascimento, I.C. do & Agosti, D. 1998. Variação na comunidade de formigas (Hymenoptera; Formicidae) entre ambientes derivados da Mata Atlântica e com diferentes graus de antropização. Livro de Resumos, V Seminário de Pesquisa da UESC, Ilhéus –BA, 58. Delabie, J.H.C; CAMPIOLO, S.; OLIVEIRA, R.M. de; CORDEIRO, C.M. ; SANTOS, A.P. dos; MELO, T.N. ; CAMPOS, D.O. ; GUEDES, P.S.N. ; SANTOS, K.A. dos; REIS, Y.T. ; SANTOS, D.S. ; NASCIMENTO, I.C. do; FRAGA, N. de J.; MIRANDA, D.; SOUZA, M.L. de; SANTOS, J.R.M. dos; CARMO, J.C.S. do & AGOSTI, D., 1999. Progressos recentes no estudo pluridisciplinar do corredor de Mata Atlântica de Maraú a Canavieiras – Bahia. Livro de Resumos do VI Seminário de Pesquisa da UESC. Editus, Ilhéus, -BA, 31. Fraga, N. de J.; Souza, C.N. ; Santos, K.A. dos; Campiolo, S., Delabie, J.H.C. & Agosti, D., 1999. As formigas de pastagens no sudeste da Bahia: aspectos qualitativos e quantitativos. Resumos, XII Encontro de Zoologia do Nordeste, Feira de Santana –BA, 308. Nascimento, I.C. do, Delabie, J.H.C., Agosti, D., Santos, D. da S. 1999. Formigas da serapilheira (Insecta: Hymenoptera: Formicidae) do Parque Nacional do Monte Pascoal – BA. Resumos, XII Encontro de Zoologia do Nordeste, Feira de Santana –BA, 311. Sanches, C.L.G., Campiolo, S., Delabie, J.H.C., Nascimento, I.C., Santos, J.R.M. & Agosti, D. 2002. Formigas dos ambientes agrários e naturais no sul da Bahia. Livro de Resumos, VIII Seminário de Iniciação Científica da UESC, Ilhéus, -BA, 105-107. Agosti, D., 1987a. Bericht über den Mittelwald Zürich-Hönggerberg. Bericht zuhanden des Stadtforstamtes Zuerich. Collingwood, C.A. & Agosti, D., 1986. Taxonomy and Zoogeography of the Formica rufa species-group. Supplement to the workshop "Taxonomy and Zoogeography of the Formica rufa species-group". Proceedings of the tenth Congress of the International Union for the Study of Social Insectes. Munich, August 1986, 17pp, 15pl. Agosti, D., 1987. Im Refugium der Randennatur finden sich grosse Ameisenhaufen. In: Guyan, W.U., Schaffhausen: Schätze der Region. K. Augustin AG, Thayngen, p 23. Agosti, D., 1996. Ein brütender Dinosaurier. Neue Zürcher Zeitung 13, 61. Agosti, D., 1997. Wann ist der Schutz der Biodiversiät nachhaltig? Neue Zuercher Zeitung 11, 9. Agosti, D., 1997. Keeping an Eye on Biodiversity. Swiss Review of World Affairs (March 1997), 7-9. Agosti, D., 1998. Auf der Suche nach den Wurzeln des Weins. Die Ursprünge der klassischen Rebsorten. Neue Zürcher Zeitung 86, 67. Agosti, D., 2004. Forum für freien Zugang zu Umweltdaten. Abgestuftes Urheberrecht geplant. Neue Zürcher Zeitung, 1. Dezember 2004. Agosti, D., 2005. Artenvielfalt ein Thema am nächsten G-8 Gipfel. Abschluss der Biodiversitäts-Konferenz in Paris. Neue Zürcher Zeitung 24, 43 (29./30. Januar 2005). 1999-2002 Ongoing field work in Egypt, partially supported by NASA/AMNH grant. 1998 Field work in Brazil (Bahia and Para), supported by NASA and in collaboration with Sasan Saatchi, JPL, and Keith Alger, IESB. 1995 Collecting expedition to the United Arab Emirates, supported by National Avian Research Council, Abu Dhabi, to help to identify food of Houbara (Ants). 1995 Collecting expedition to Brazil (Atlantic forest), in collaboration with Jacques Delabie, CEPLAC, Itabuna and the preparation for the ALL workshop. 1994 Collecting expedition to Argentina (Jujuy, Tucuman, Salta), supported by a National Science Foundation Grant to the Department of Entomology, American Museum of Natural History. 1986 Visitor to the collections of A. Francoeur, Chicoutimi, Canada and at the Museum of Comparative Zoology, Harvard University, Cambridge, Mass. USA. Semantic Web, scientific publications and machine generated hypotheses: Will machines do part of our job in the future?. BEES, University of Zürich, Dec. 3, 2008. Plazi: Access to taxonomic literature - steps into the future of communicating and sharing taxonomic knowledge. (With T. Catapano & G. Sautter). Atlas of Living Australia, Canberra, Australia (Oct. 30, 2008). Access to taxonomic information: antbase.org. Symposium at the annual NDAP users meeting, Taipei, Taiwan. 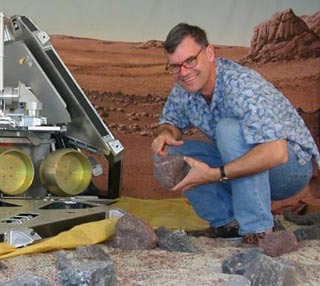 March 19, 2008 (invited speaker). Plazi and marking-up taxonomic literature, Staatliches Museum für Naturkunde, Karlsruhe, Germany (together with Christiana Klingenberg. January 29, 2008. If you want more time to think, then you need a digital library. Simpósio de Mirmecologia. São Paulo, Brazil. November 29, 2007 (Invited Speaker). Learning how to contribute to the construction of the spider digital library. Zoological Seminar, Instituto Butantan, São Paulo, Brazil. Literature and interoperability: a working example using ants. TDWG Bratislava Meeting. September 18, 2007. (Invited Speaker; with Terry Catapano). Ants and the Creative Commons. Tweak festival (Launch of the Swiss Creative Commons Licence), Zürich, Switzerland. May 26, 2007. Open Access to Systematics Literatur. General Assembly of the Intenational Commission on Zoological Nomenclature. Washington DC, USA, May 11, 2007. The Vision. Introduction to The Virtual Social Insects. Symposium at the 14th International Conference of International Union for the Study of Social Insects, Sapporo. July 30, 2002. The Phylogeny of Formicidae (Hymenoptera): Evaluation of Key Characters and alternative Hypotheses of Relationship. Phylogeny of Ants Symposium at the 14th International Conference of International Union for the Study of Social Insects, Sapporo. Aug 1, 2002. (In collaboration with Roberto Keller). The Social Insects Specialists Group. Biodiversity and Conservation Symposium, Symposium at the 14th International Conference of International Union for the Study of Social Insects, Sapporo. July 30, 2002. Eindrücke eines Ameisenforschenden in Cyberspace. Zürcherische Entomologische Gesellschaft. November 1, 2002. Remote Sensing technologies for the classification of landscapes and modeling of the distribution of ants. Invited speaker at the Section A Symposium: Computer-based technologies for studying insects. Annual Meeting of the Entomological Society of America, December 10, 2001, San Diego. Social Insects and Conservation: The Social Insects Specialists Group Report. Species Survival Commission meeting prior to the World Conservation Union General Assembly (IUCN), Amman, October 4. Mapping forest fragments and loss of biodiversity in the Atlantic Forest of Southern Bahia, Brazil. Final Symposium of NASA/NGO/Museum pilot program, Washington D.C., June 1999. Biodiversidade Tropical de formigas: importância, ténicas de coletas e analise por sensorimento remoto. Semin?rio do IPAM, Universidad Federal de Para, Belem. June 4, 1998. Global and Regional Ant Surveys: A Model Approach? 6th Annual Meeting of the Directors, Major Systematic Entomology Facilities. April 17, 1998. Conservation of Pests? 12th International Congress of the International Union for the Study of Social Insects, Paris, FRANCE, 22.8.1994. Ziele und Methoden der Systematik. Roundtable at Zoologischen Institut, Universitat Zurich, SWITZERLAND, 12.12.1991.